We had a super end to the half term with the celebration of a special birthday! 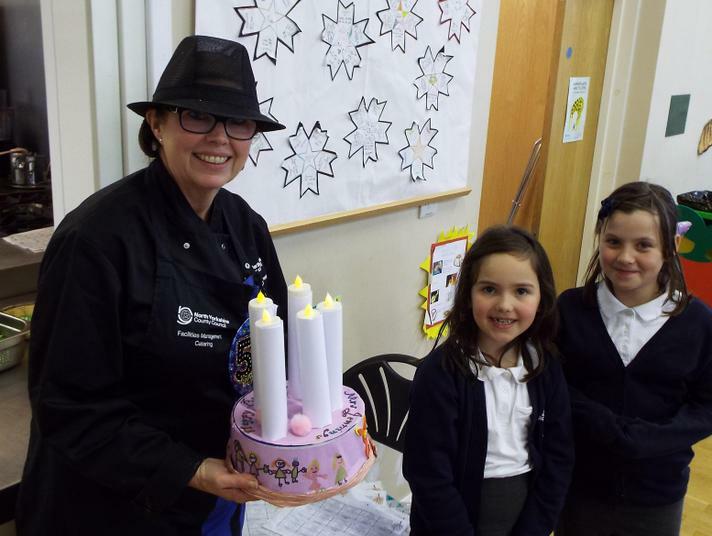 With a rousing chorus of 'Happy Birthday' and a special surprise birthday cake, all the children wished Mrs Jennings 'many happy returns of the day'. 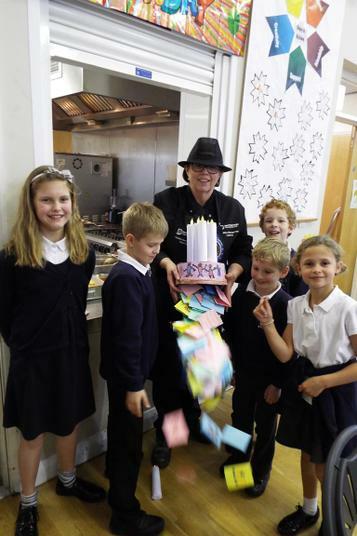 There were shrieks of delight from the children when over 100 birthday cards came tumbling out from the birthday cake - one card from each child in the school and nursery! We all hope Mrs Jennings has a lovely half term holiday - and enjoys having a rest from cooking all those school dinners!